The Multibox system can be configured to shore fully enclosed boxes or partially enclosed boxes which enable pipe or service entry in various heights on any side. Panels are 600mm high and weigh only 75kg for 2m long, 90kg for 2.5m long and 110kg for 3m long. 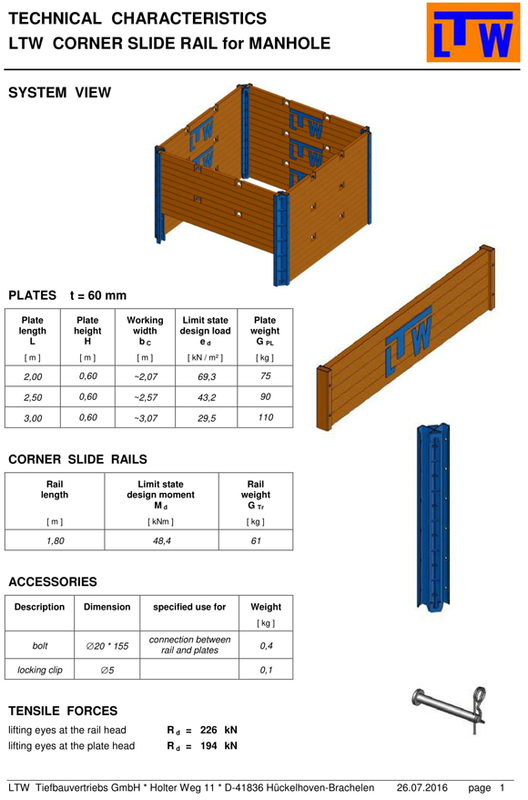 Panels fit into corner slide rails which can be 1800mm long (61kg) or 2400mm long. (81kg) and are locked in place with a simple pin and clip arrangement. New light weight ladder access platform used by Brian Perry Civil for safe access.